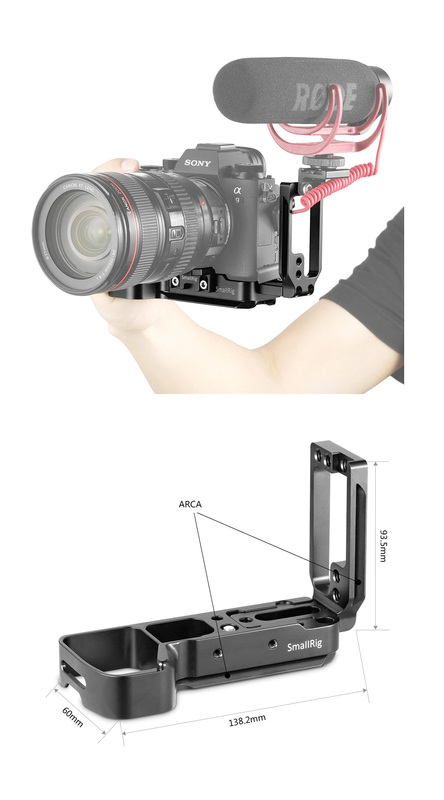 SmallRig (SR2122) L-Bracket for Sony A7RIII/A7III/A9 2122. Note: This product is NOT compatible with Manfrotto MHXPRO-BHQ6 ball head. Now a custom-designed left side grip for L bracket 2218 is also available. You can swap the side plate with this grip for video-shooting. Handheld shooting with your left hand and both hands is thus possible.